Statistics show that each day in the U.S. more than nine people are killed and more than 1,153 people are injured in distracted driving-related crashes. In a poll released in June 2014 by the National Safety Council, it found that 73% of respondents wanted stricter enforcement of texting and driving laws. No wonder stricter texting and driving laws are going into effect in so many U.S. states this year. Related: Can Technology Allow For Safe Use Of Phones While Driving? On October 1, 2014, Vermont passed a law that banned the use of handheld cell phones while driving. This means that Vermont drivers are prohibited from holding their phones and other electronic devices while driving. This ban on handheld devices was an attempt to help police enforce an existing ban on texting while driving. Maryland has a ban on using handheld phone while driving. This year, a stricter texting law took effect. Known as “Jake’s Law,” this new law has stiffer penalties for drivers causing crashes while on their phones. Distracted drivers that are found guilty will be sentenced to serve three years in jail, a $5,000 fine and 12-points on their driver’s license. This could lead to license suspension. “Jake’s Law” was named after Jake Ownes, 5, who was killed in a 2011 crash. New Jersey also created stiffer penalties for motorists who were texting or talking on a handheld device. The new law increased the fines and took effect in July. According to Assemblywoman Annette Quijano this was a wake-up call to all drivers. Under the previous law, the fine for texting or talking on a handheld device was $100. Under the new law, the penalties increased to $200, $400 and $600 for a first offense, a second offense and third or subsequent offenses respectively. Kentucky implemented a ban on all cell phone use for bus drivers and new drivers and a texting ban for all drivers. Earlier this year, law enforcement agencies in Kentucky increased their efforts in convincing drivers to put down the phone by participating in the first national texting enforcement crackdown - U Drive. U Text. U Pay. In 2013, a three-point penalty for the offense of texting while driving in Kentucky was ordered. This new penalty means that for every texting violation, three points will be added to a driver’s record. This could mean losing your driving license if you accumulate enough points. Related: Kentucky Again Participates In U Drive. U Text. U Pay. 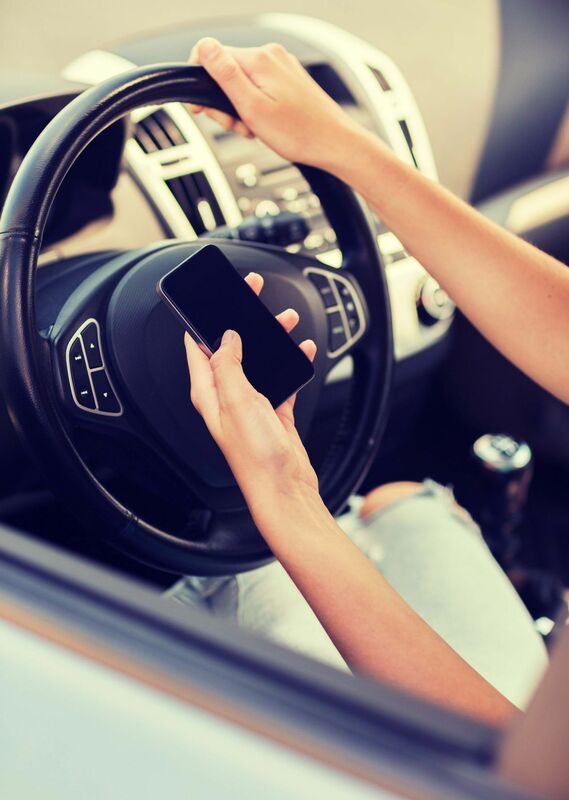 As a Kentucky Accident Attorney, I am glad that Kentucky and other U.S. states are stepping up efforts in reducing texting- and distracted- related crashes. Our law enforcement agencies have done their part and it’s time we do the same. Make the roads better for everyone and stop texting while driving.